It is our mission to accurately diagnose and successfully treat all musculoskeletal conditions, especially those pertaining to the spine; with hands on manual therapy, manipulation, mobilizations, nutrition, acupuncture, muscle release therapy, instrument-assisted soft tissue therapy, active rehabilitation, laser therapy, registered massage therapy, and other evidence-based treatments. Dr. Gary Friesen grew up in Niagara-on-the-Lake and attended Niagara District Secondary School. He played hockey for the Oshawa Generals, Sudbury Wolves, Brock Badgers and lacrosse for the local Niagara Thunderhawks. Dr. Friesen attended Brock University and studied physical education before he earned his Doctor of Chiropractic from the Canadian Memorial Chiropractic College. Besides specializing in back and neck pain, Dr. Friesen has done extensive training in contemporary medical acupuncture, concussion management, and assessment/treatment of NHL hockey players. Dr. Friesen has kept his local sports roots and is a member of the Brock Badgers and Niagara Icedogs health teams. Dr. Breanne Schultz was born and raised in Dryden, Ontario. Under the tutelage of local chiropractors, Dr. Schultz developed her passion for patient-centered and evidence-based healthcare. Dr. Schultz went on to study psychology at the University of Winnipeg. She then earned her Doctor of Chiropractic from the Canadian Memorial Chiropractic College and simultaneously earned her Registered Massage Therapist degree at the Royal Canadian College of Massage Therapy. Dr. Schultz has a wide range of experience with back and neck pain, sports injuries, wellness and nutrition, rehabilitation and pre and postnatal care. Dr. Julia Friesen, ND is a Naturopathic Doctor born and raised in Niagara-on-the-Lake. She graduated from the Canadian College of Naturopathic Medicine where she earned a four year post-graduate Doctor of Naturopathy degree and completed a 12-month clinical internship at the Robert Schad Naturopathic Clinic. Prior to her medical training, she completed a Bachelor of Science at St. Lawrence University in Canton, N.Y.
Dr. Julia Friesen, ND promotes personalized health care plans, addressing the root cause of disease and alleviating contributing factors of illness. Dr. Julia Friesen, ND offers services in acupuncture and TCM medicine, diet and lifestyle recommendations, botanical medicine and vitamin and mineral supplementation. Dr. Julia Friesen, ND is an active member in good standing with the College of Naturopaths of Ontario. She is also a member of the Ontario Association of Naturopathic Doctors (OAND) and Canadian Association of Naturopathic Doctors (CAND). 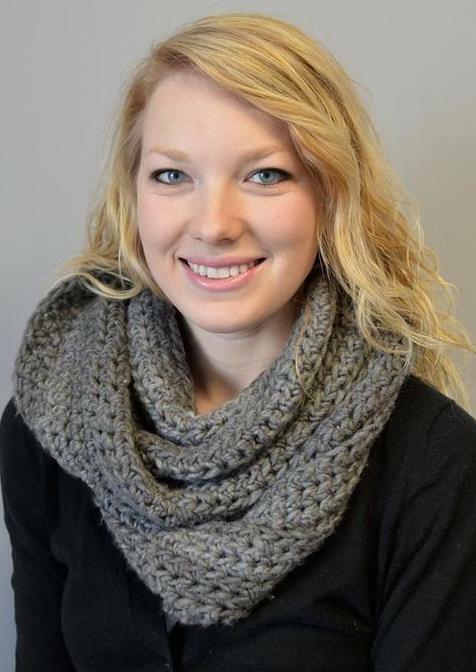 Stephanie Willms is a Registered Massage Therapist and is a brand new addition to the NOTL Chiropractic health team. Stephanie was born and raised in Niagara-on-the-Lake and is excited to begin practicing in her hometown. Being very active through her youth, she was involved in local minor soccer and hockey. Her passion for sports and helping others influenced her to become a RMT. Following Eden High School, Stephanie attended Trillium College in St.Catharines where she earned her RMT diploma. She specializes in deep tissue and relaxation massages. Stephanie is now accepting appointments. Jamie Varga attended Ontario College of Health & Technology where she graduated with an honours diploma in Massage Therapy. She has a passion for helping rehabilitate and aid in her patients in the healing process. With an emphasis on stretching, strengthening and breathing exercises, Jamie specializes in myofascial release techniques. She is continually seeking more knowledge and education in the field of Massage Therapy. Aleigh Andrews is a recent Massage Therapy graduate who is excited to start her RMT career in her hometown of Niagara-on-the-Lake. Aleigh is a proud Niagara native, with her education stemming from Niagara District Secondary School, Laura Secord Secondary School, Brock University (BA, Community Health) and Ontario College of Health and Technology. Aleigh brings extensive clinical hours with an interest in fascial and deep tissue techniques for various musculoskeletal injuries, muscle imbalances and daily pains and strains. Aleigh has a passion for community health and wellness. She will help you develop and implement a lifestyle plan that focuses on active living and improving your everyday routine, while enhancing your overall health. When joints in the spine, or anywhere else in the body are restricted and not moving efficiently, a chiropractic adjustment can be delivered to increase motion at that specific joint, subsequently decreasing pain. Mobilizations, are a gentle technique and may also be implemented with care. Massage therapy consists of hands-on treatment of the soft tissues of the body, specifically the muscles, connective tissue, tendons, ligaments and joints. Treatment has a therapeutic effect on the body and optimizes health and well-being by acting on the muscular, nervous and circulatory systems. In addition, pain and stress can be relieved or prevented. Naturopathic medicine focuses on optimizing health through lifestyle adjustments, safe & effective therapies to support the body in healing, and personalized health care in addressing root cause and alleviating contributing factors of illness. Naturopathic modalities include: acupuncture and Traditional Chinese Medicine, diet and lifestyle recommendations, botanical medicine and vitamin and mineral supplementation. These modalities aim to manage numerous concerns including: stress and anxiety management, pain management, gastrointestinal concerns, weight loss, hypothyroidism, autoimmune disease, acne, post concussion management, PMS and menopause. Dr. Julia Friesen, ND is trained in Traditional Chinese Medicine (TCM), a system of health care which originated over 4000 years ago. TCM Acupuncture is the insertion of fine needles into points along the body on the meridian system to stimulate the flow of Qi (vital force or energy) to restore health. Dr. Julia Friesen, ND offers acupuncture to treat numerous conditions, including anxiety and stress management, chronic pain management, headaches, women undergoing IVF, IUI or other assisted reproductive techniques and hormone imbalances including menopause. Cupping involves placing silicone or plastic jars on to the skin to create a vacuum by suctioning the air out. The underlying tissue is raised or sucked, partway into the cup. The purpose of cupping is to increase circulation (blood and lymph), help relieve pain, remove “heat” and pull out toxins that linger in body tissues. This modality is used to regenerate and/or accelerate the healing process of soft tissue injuries. This technique is used by applying pressure to a muscle through a natural stretch; ultimately increasing motion and decreasing pain. Muscle release therapy is often included in chiropractic care as well as for rehabilitation & conditioning. Targeting trigger points in muscles, this technique uses a metal instrument to break through adhesions & scar tissue. Certified in 2014, Dr. Friesen has completed a concussion management program to be able to accurately and effectively perform pre-season baseline testing and post-injury management of concussions for sports. Concussions may also occur in motor vehicle accidents and at the job site. Rehabilitation and maintenance care are important for recovery of an injury and also to prevent an injury from re-occurring in the future.